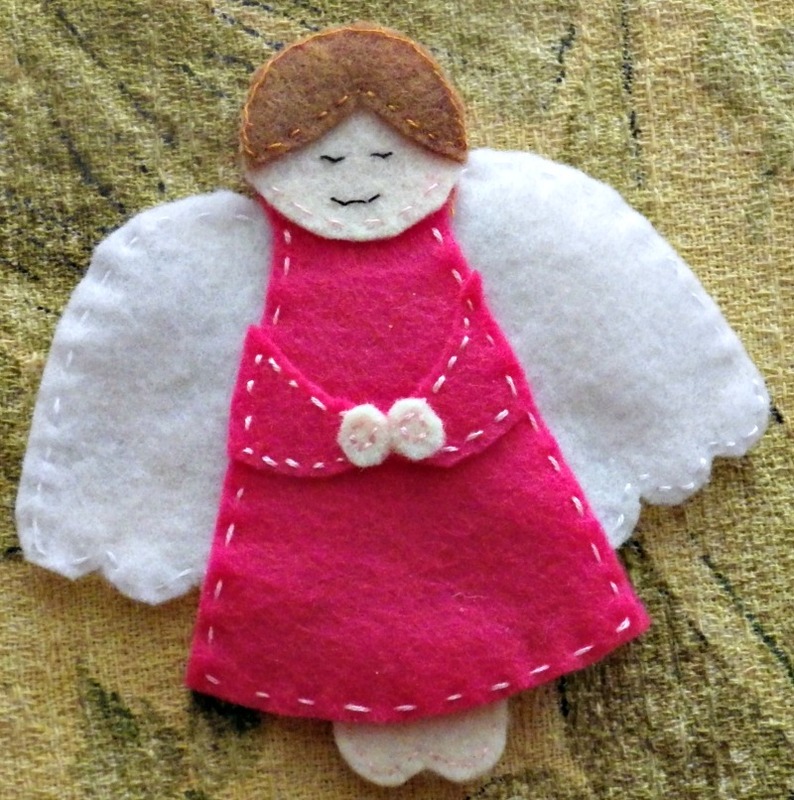 I decided this year that I would have a little fun and get creative with felt. 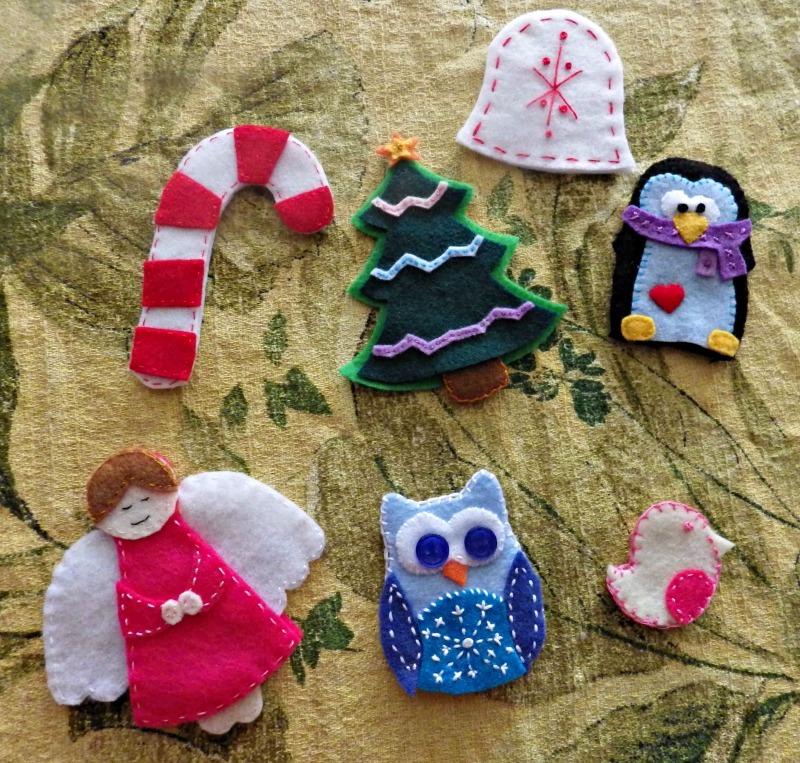 Above are the first seven felt ornament’s I’ve made for my/our advent calendar. 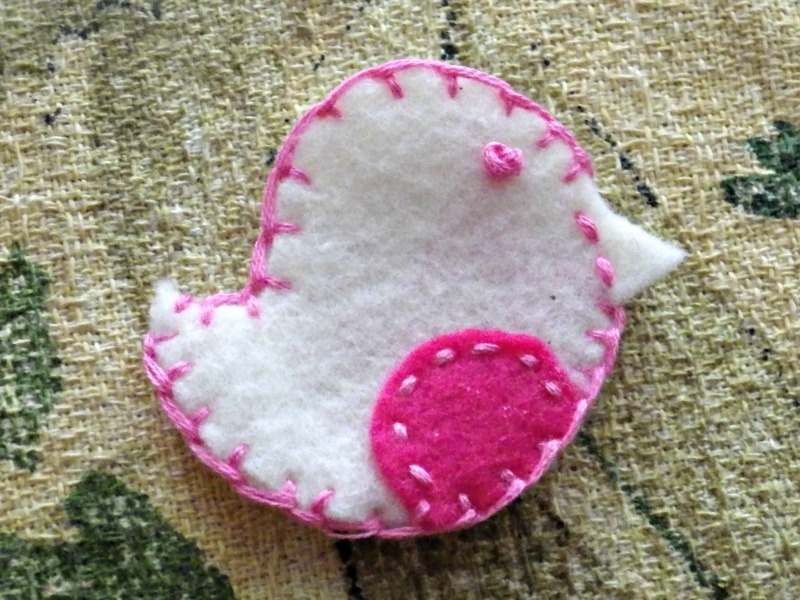 First was this little guy – he is very simple and I grabbed his pattern here: Felt Robin Template and Tutorial. He/she is very sweet, but at this point, I am thinking of making him/her into a hair clip instead! All the other ornaments I’ve made are much larger. He/she is a wonderful first try however – and I am not biased!! This one was made second and I love love love it!! And not just because I am an owl freak. 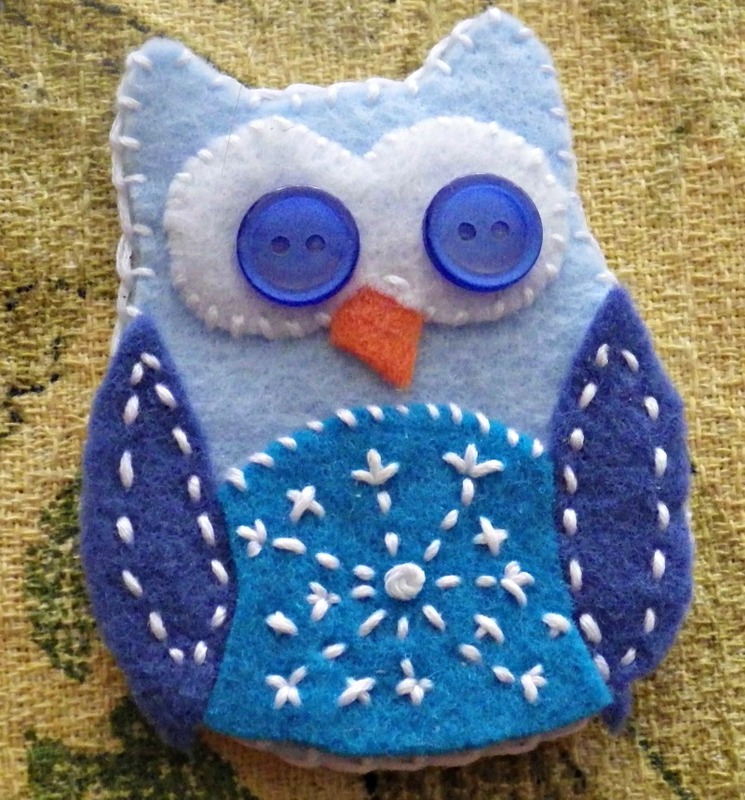 I found the pattern for him here: Give a Hoot for the Holidays. 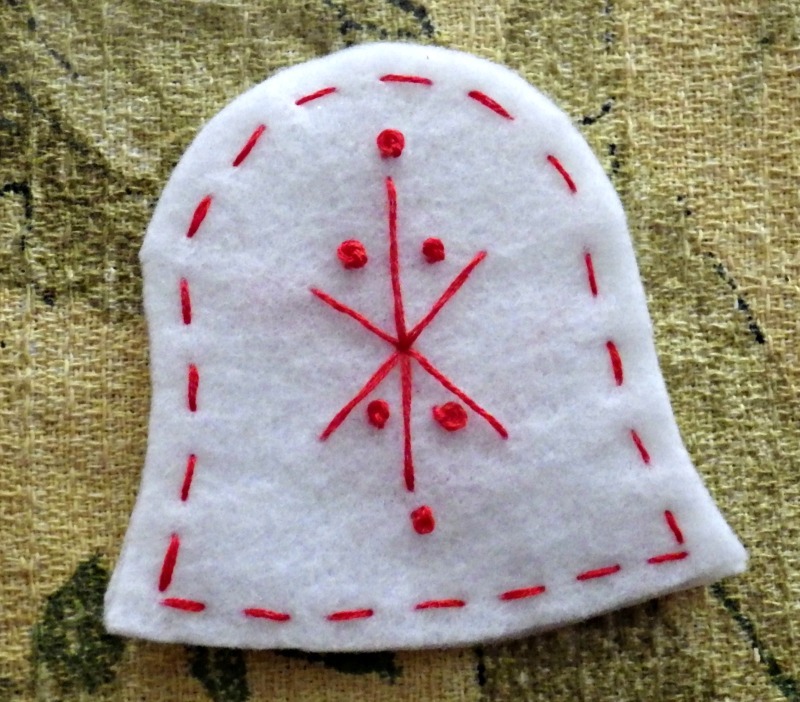 I didn’t have any rick rack, but I like my first attempt at embroidery design, even if the stitches are a very basic running stitch and french knot – those little boogers are trixy I tell you! I watched this youtube video on learning to make the knots: Embroidery: How to stitch a french knot. I then decided that I wanted a simple bell. 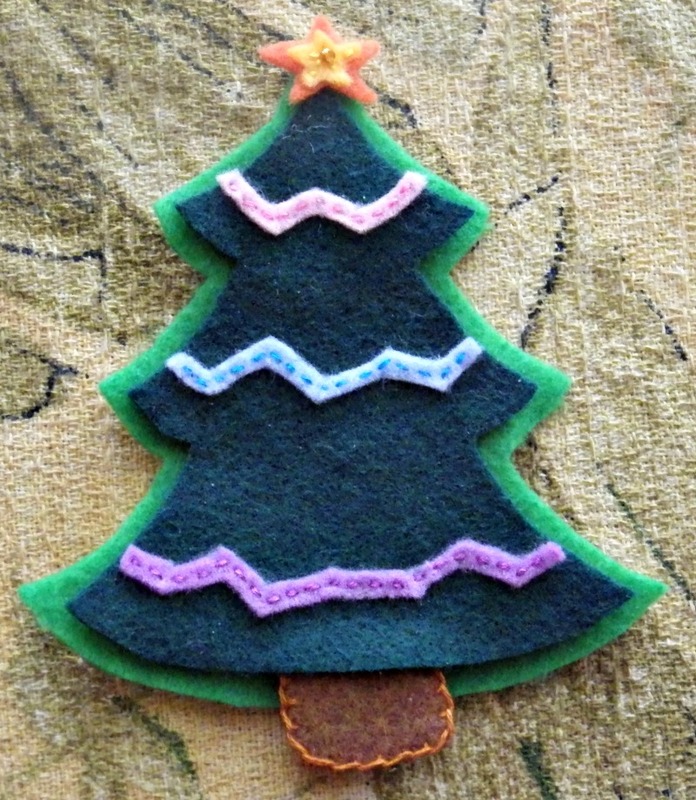 I chose this one: Christmas gift: Felt Holiday Ornaments + Free Ornament Templates. I decided to forgo the bell at the bottom since it is dangly, it makes noise and the bells are shiny… all three of those being attractants to two year olds and children with incessant fiddle fingers. I am hoping to locate my pinking shears this week to trim the edges to look like the original, but I think this is sweet in a very rustic way! This one is my current absolute favourite!! I couldn’t find a pattern online, so I searched for clip art and discovered this one. I think he’s lovely! 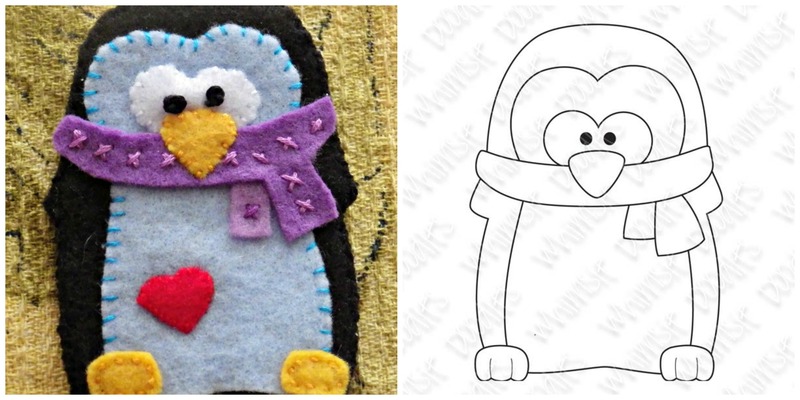 I got pretty close to the original drawing I think, which can be found here: Little Penguin Pattern. 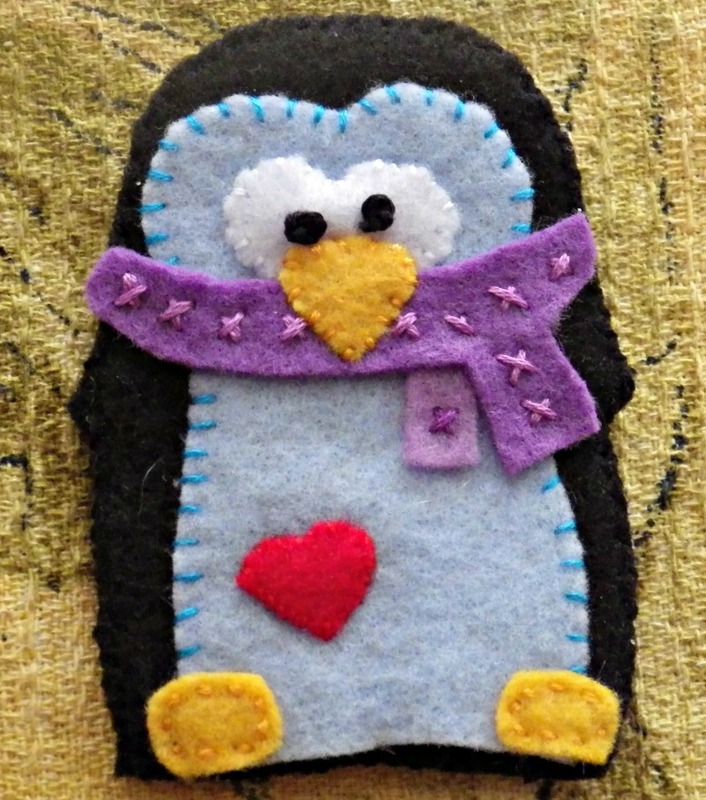 I added the heart because I felt that he just needed it 😉 I messed up the french knots a bit – told you they were tricky! The final one in this set the traditional candy cane 🙂 I like how rustic it turned out. Little G has already tried to run off with it, and when she see it, makes slurping noises and goes Yum! 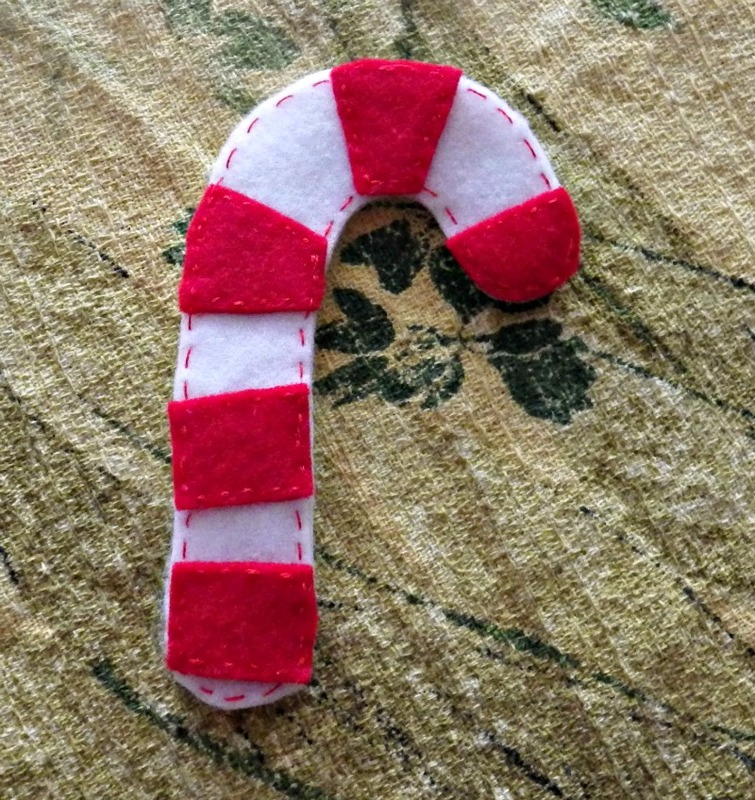 You can find this sweet pattern here: How to: Felt Candy Cane Ornaments. I am finding the blog: Bugs and Fishes to be a great resource!